Let’s face it, you know your mouth is watering for a juicy burger from Soda Jerks™. Why are you hesitating? 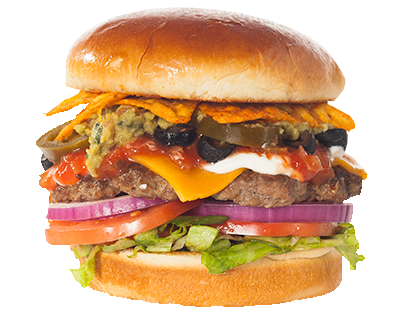 Our burgers are created with 100 percent real Angus Beef and we give you a choice of more than 50 delectable toppings. Choose a burger off our gourmet burger menu, or go crazy and create your own! Need something sweet to cleanse your palate? We offer soda served in glass bottles to preserve their crisp, pristine taste, or a variety of milkshakes. Still not convinced that you need a gourmet burger from Soda Jerks™? Continue reading below where you can find a list of acceptable excuses for treating yourself to a burger right now. This is the oldest excuse in the book. When your tummy starts rumbling you want to satisfy it with some tasty food. What’s more tasty than a gourmet burger from Soda Jerks™? Just picturing that juicy patty on a bed of lettuce, onions, and maybe a little guacamole, safely nestled in between two golden buns should have you in the car driving toward Soda Jerks™. You deserve a treat, so you need to satisfy your hunger with a delicious burger. Oops, you forgot to pull the dinner you had planned out of the freezer. Now, you’ll either be forced to have cereal, toast, or leftovers for the third night in a row. You really don’t want to have to stick something in the microwave only to have it be either too hot or lukewarm. What you really want is a hot, juicy burger from Soda Jerks™. Why suffer through a meal that you know will leave you unsatisfied and maybe even a little grossed out. 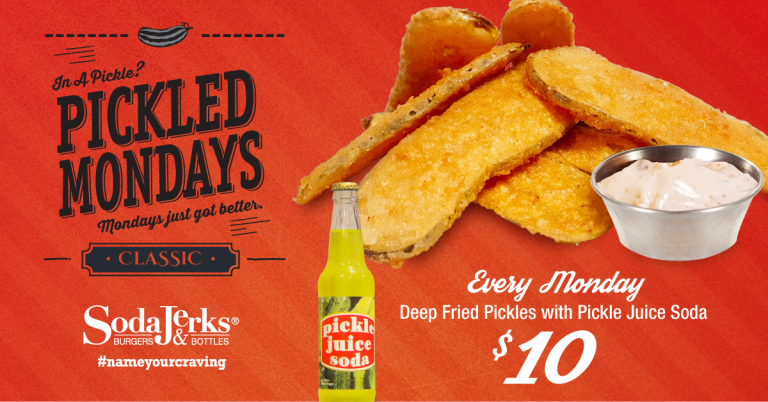 Stop by Soda Jerks™! We promise you can have whatever toppings you want on your burger. 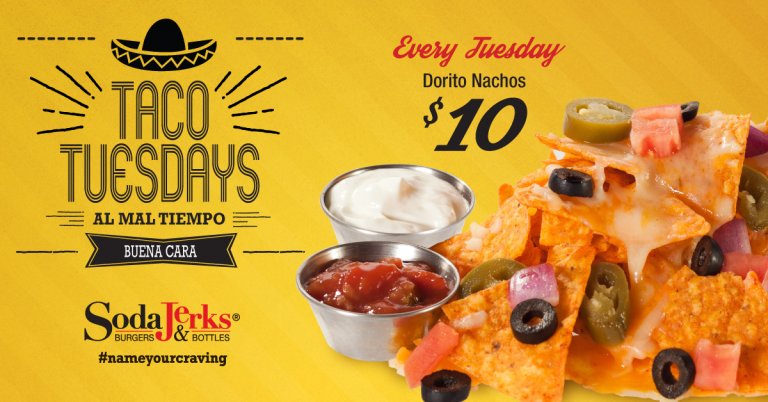 Want Doritos on your burger? You got it! Is a donut bun something you desire? We can make it happen! 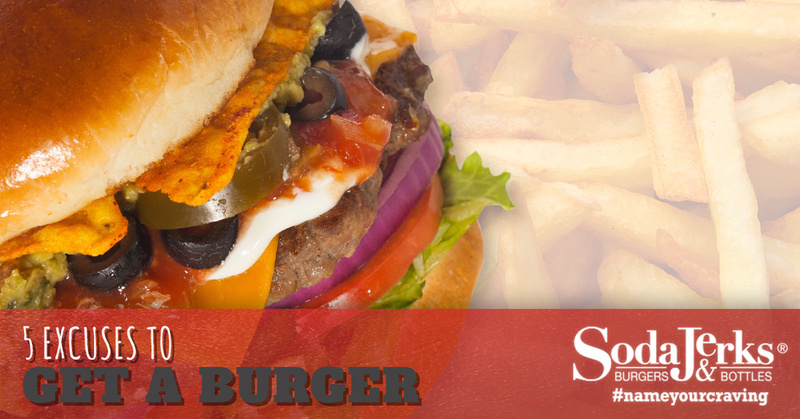 At Soda Jerks™, nothing is off limits when it comes to our gourmet burgers. Choose one of our specialty burgers off of our menu or make up your own with our burger worksheet! A long day of work or a stressful day of studying can take a toll not only on your mood, but on your health. If you’re riding that emotional roller coaster, you may have even skipped a meal! At Soda Jerks™ we don’t believe in skipping meals, so for the safety of your health, we demand that you indulge in one of our gourmet burgers right now! We are supporters of stress eating, and we know how to do it right. Start off your stress-eating with one of our appetizers and complement your meal with one of our milkshakes. If it’s been an exceptionally stressful day, we recommend one of our adult milkshakes to take the edge off. Don’t worry, we won’t judge a bit! Get-togethers with the family cause extra stress, especially if you are hosting the gathering. Sometimes you need a break from all the hussle and bussle. Need a safe place to lay low and take a breather? Come to Soda Jerks™! Our fun and quirky atmosphere provides the perfect place to hide out for a while and get away from your family. Order one of our gourmet burgers and let the taste of our 100 percent Angus Beef, savory peanut butter, and crisp bacon transport you to your happy place. Need more time than a burger can provide? 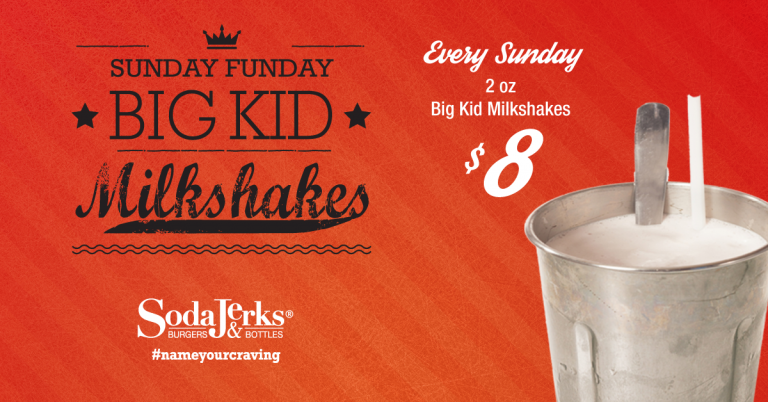 Get a round of appetizers or slurp down one of our milkshakes! 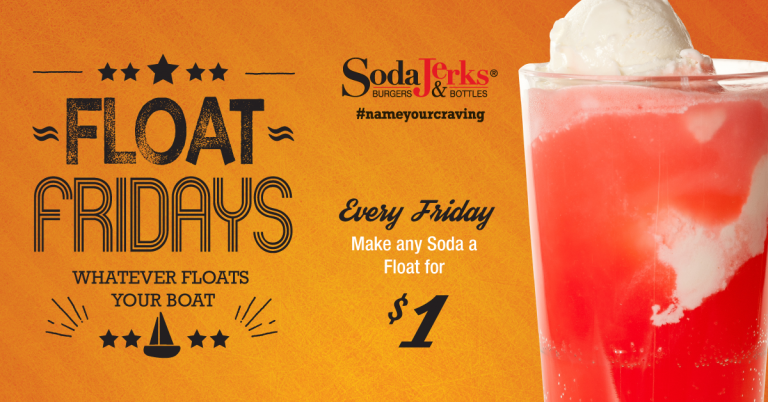 If you have no other reason to come to Soda Jerks™, then do it because you deserve it! It’s important to treat yourself to something every once in awhile, whether that be a new pair of shoes, or a gourmet burger. 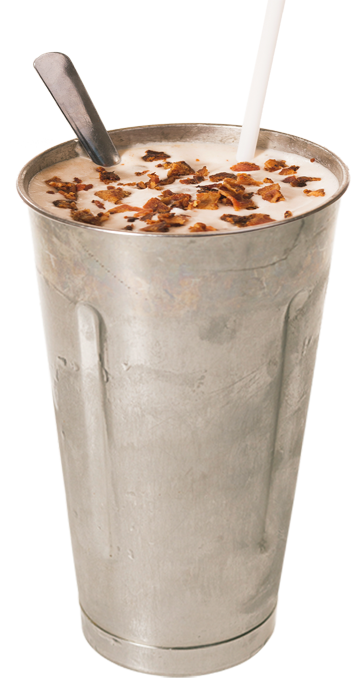 Come to Soda Jerks™ and create your own burger, enjoy a shake, and leave completely satisfied. 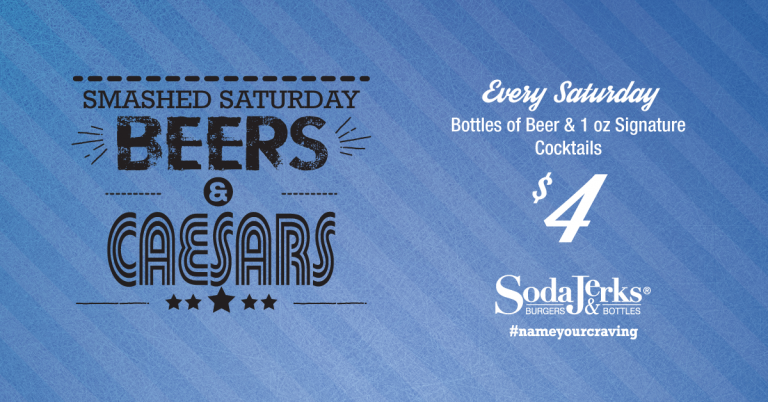 If you’re in the Edmonton area, be sure to stop by and grab a gourmet burger at Soda Jerks™. We look forward to seeing you!